You are in : All News > Sweet survey: Who are the world’s biggest sugar consumers? 17 Jul 2018 --- As governments around the world work to curb sugar intake, drive down obesity and health issues by introducing sugar taxes, one survey has collated data to show which countries have the highest intake of the sweet stuff. 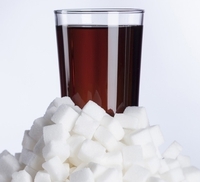 UK insurance provider Protectivity has analyzed data on human sugar consumption figures to discover which countries are consuming the most sugar per capita. Global sugar consumption continues to soar in some countries. The United Arab Emirates takes first place with 213 kilograms per person, which is approximately 53,591 teaspoons. Per day that works out to be 147 teaspoons per person on average. Reducing the amount of free sugars we consume is recommended in order to reduce the risk of obesity-related diseases and dental decay. The World Health Organization has dropped its sugar intake recommendations from 10 percent daily calorie intake to 5 percent. For an adult of a normal body mass index (BMI), that works out to about six teaspoons, or 25 grams, of sugar per day. While the American Heart Association says the maximum amount of sugar men can eat per day is 150 calories while women can consume up to 100 calories. The top ten countries all come out with considerably more than this. In 2017 the UAE introduced a sugar levy on soft drinks which raised the price of sugary carbonated beverages partly as a way to lower obesity and diabetes rates. The UAE has the fifth highest rate of fizzy drinks consumption in the world. The prices of sugary carbonated jumped 50 percent while the retail price of energy drinks has increased 100 percent. 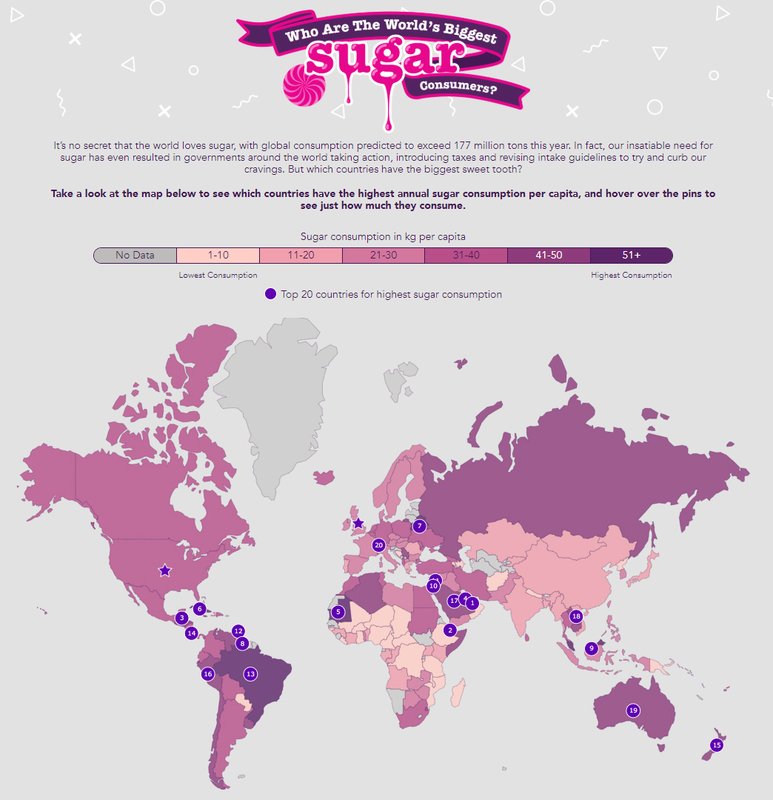 In contrast, the survey also shows which countries have the smallest sugar intake. At just 118 grams per person each year, North Korea’s sugar consumption doesn’t even make it to one full teaspoon. However, it’s worth considering that there may be limited data on North Korea. The country with the second least amount of sugar consumed is Afghanistan. The results of all the countries analyzed shows a real mix of where the biggest sugar consumers are. With the likes of the UK coming in as the world’s 68th biggest consumers with 30 kilograms per person each year, and the US coming in at 54th. In Europe, Belarus has the sweetest tooth, with 62 kilograms consumed each year per person. In April the UK’s sugar tax came into force, pushing up the price of sugar-sweetened soft drinks across Britain. It has two tiers; a lower rate of 18 pence per liter for beverages with a total sugar content between 5-8g per 100ml and a higher price of 24 pence per liter for drinks with total sugar more than 8g per 100ml. Soft Drinks Sugar & Sweeteners Sugar Consumption Obesity Sweet Soda Sugary Drinks Sugar Tax Levy World Health Organization Protectivity.